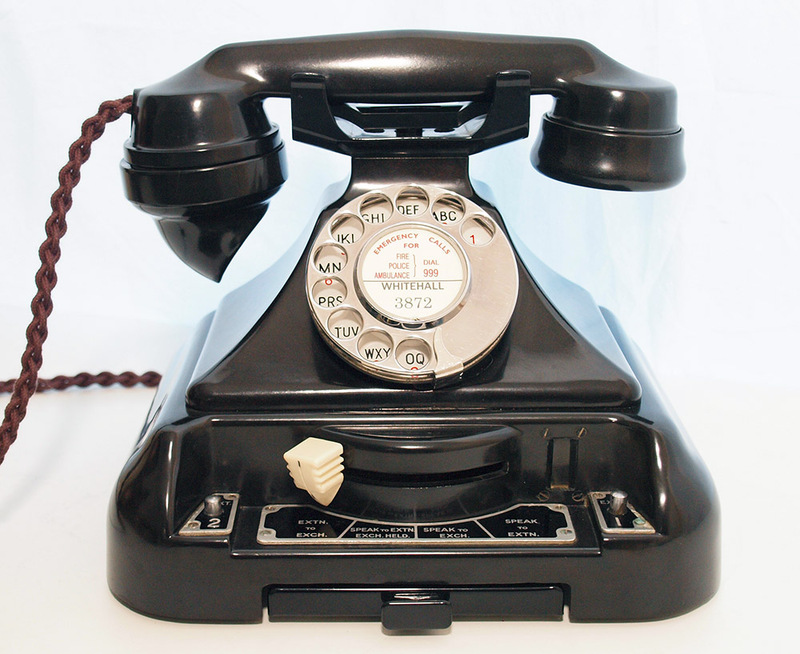 This model was used to take incoming calls and then diverted to other areas internally. 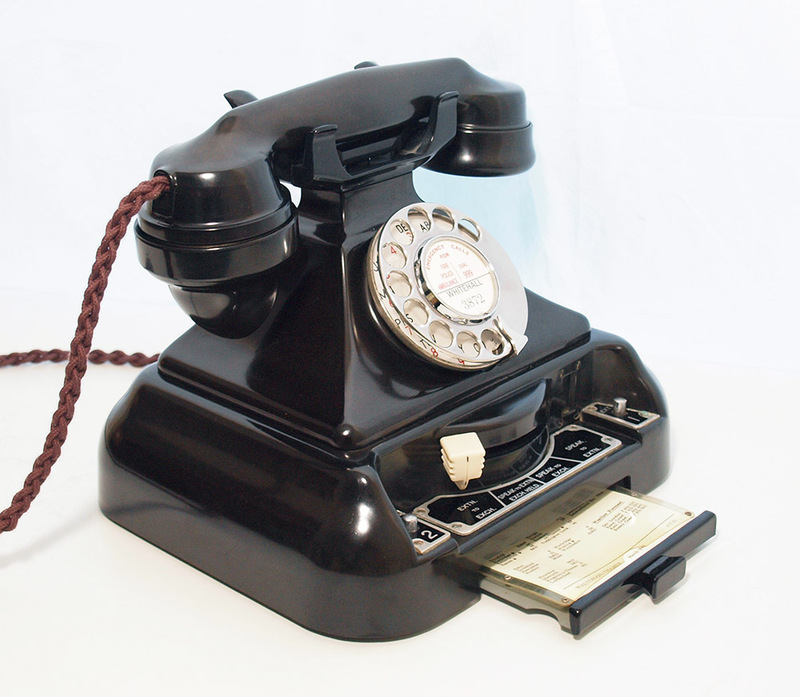 This one came from a local doctors surgery and the handset is dated 1948 and has a GPO No12 alpha numeric dial with a stainless steel figer wheel. As you can see it is quite a statement telephone with a nice switching unit. The switching unit is still in place but all the electronics have been removed to enable a bell to be fitted inside. For an extra £15 I will make the switch work to turn the bell on or off. The base on these is often damaged and so nice to find a perfect one. The bell is very nice but not too loud as it has a single bell gong mechanical ringer fitted. 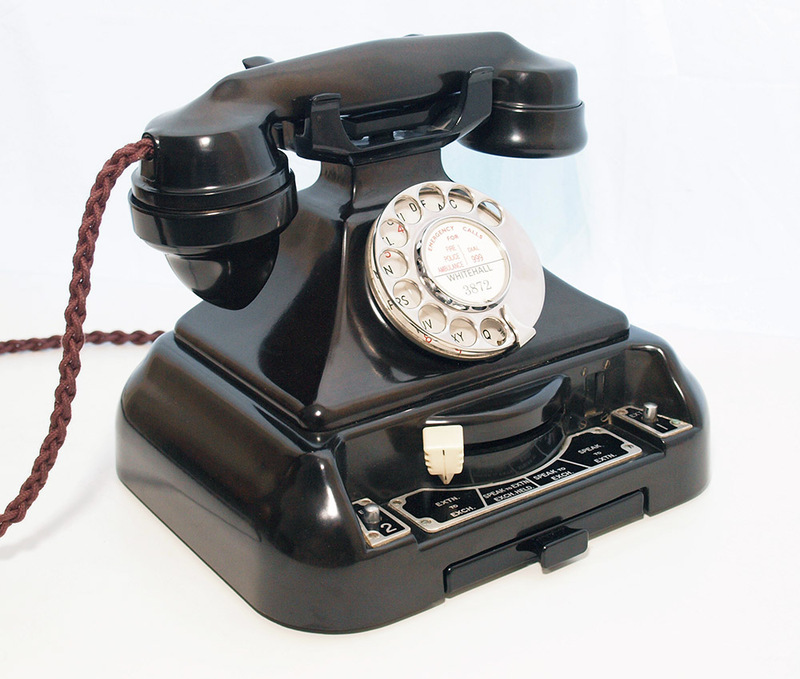 The internals for the telephone have been modified to work perfectly and are the original 1940s. 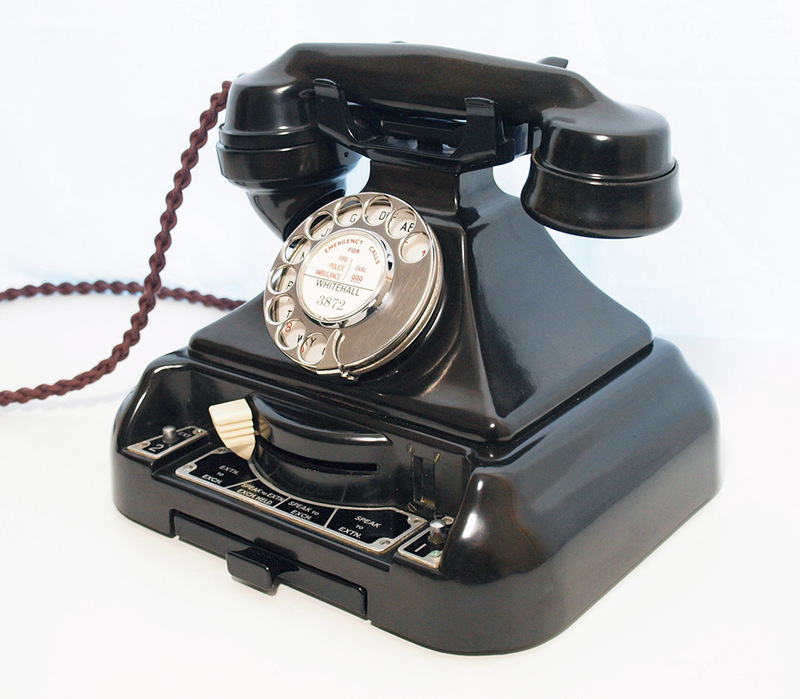 It is fitted with a very best quality all British manufactured hand plaited braided handset cord, a GPO specification round plastic line in cord with a UK telephone plug socket and an electronic microphone to enable perfect speech quality. I can make a dial label with your information at no extra charge.